This Citizen Ecodrive AW1050-01E Men’s Watch features an innovative and new technology by the collection of Citizen Watches. An amazing look of this watch attracts youngsters especially. This smart wrist piece has Stainless Steel Case with rough and tough Calf Leather Strap. It is really an elegant and reliable timepiece. One of the best features includes Ecodrive technology. 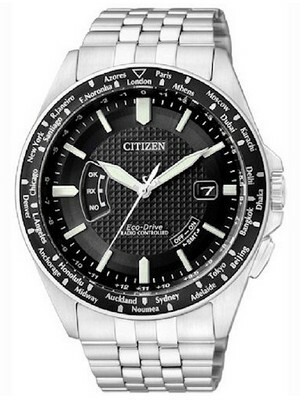 This Mens Citizen Watch runs by any light source, there is no need to change battery. This advanced technology of using light to power a watch has brought an ultimate version of Eco-Drive. This timepiece is really an awesome and stylish. 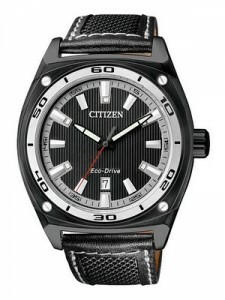 This outstanding Citizen Eco Drive Watch has some traditional look also. You can wear this watch in any kind of occasions. It is both the formal and informal type of watch. The Stunning Black dial makes this beautiful watch more attractive. And this dial is highly protected by the scratch resistant Crystal Glass. The dial of this watch contains some other nice features like Analog Display, Screw Case Back and Date Display. This Citizenwatch is also has Insufficient Charge Warning Function and Overcharge Prevention Function. This Citizen Men’s Watch is very classy and glorious watch. It is very accurate timepiece because it has Regular Timekeeping. The water resistant of this watch is up to 100 meter. This Citizen Eco-Drive Watch has an elegant design. This Eco-friendly timepiece is a durable and inexpensive watch built a strong release. The Case Diameter of this watch is 43mm. You can bring this excellent watch to your dad or loved one as a gift. It will be a perfect gift for them. This watch is available for US $116.00 with us. Newsletter: Christmas Discounts on Watches!